The Medical Device Excise Tax took effect in January, 2013, creating a new sales tax of 2.3% levied on medical devices regardless of company profit. Repealing the Medical Device Excise Tax has been one of BioForward’s top priorities, which is putting jobs and innovative companies in our state at risk. The Wisconsin delegation has been supportive of this call to action with Senator Ron Johnson and Congressmen Ron Kind, Sean Duffy, Jim Sensenbrenner, and Glenn Grothman all helping lead the effort to repeal the tax. 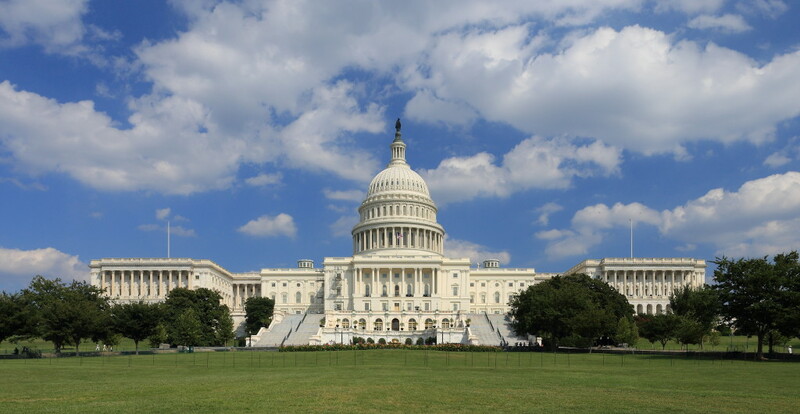 Through the continued education and advocacy on this issue, the Medical Device Excise Tax was suspended for two years until December 2019. BioForward will continue to advocate for the permanent repeal of the tax and will urge members to support full repeal prior to its reenactment in 2020. Medical technology creates more than two million jobs directly and indirectly all over the United States. The industry is one of the few U.S. manufacturing sectors that is a net exporter, and its innovations help reduce the human and economic burden of chronic disease, but the device tax threatens that leadership because it will put an additional burden on medical device innovators already struggling under the weight of America’s uncompetitive tax system. The tax will be levied on medical device sales in the U.S. regardless of whether the company is making a profit. Read the op-ed written by Advamed and BioForward on the repeal of the Medical Device Excise Tax here. The National Institutes of Health (NIH) is responsible for research in the study of human health, diagnostics and treatments and helps to maintain the U.S. stronghold as a national leader in the development of biomedical research. The NIH also supports proof-of-concept and early-stage research throughout the country. This public investment has laid the foundation for the development of many breakthrough drugs and therapies that have extended and improved the lives of countless patients and their families in the United States. The NIH also serves to drive the innovation pipeline that is critical to ensuring that the medical research and biopharmaceutical industry, which provides high-paying jobs and makes significant contributions to the U.S. economy, continues to grow in the United States As the cost of medical product development process continues to increase, the funding for this research through the NIH must increase to ensure there isn’t a lag between research development and product development. BioForward continues to advocate for increased funding of the NIH, which will help advance biomedical innovation and ultimately improve patient care. Small Business Innovation Research (SBIR) and Small Business Technology Transfer (STTR) Grant Funding: As venture capital monies decreased through the recession and moved to support later stage technologies, these grants have help to spur new research and discovery at its earliest stages. However, this critical source of funding for promising new therapies and technologies has steadily declined in recent years. The lack of funding for the SBIR and STTR programs is a serious concern for BioForward and the bioscience community in Wisconsin. BioForward advocates for increased funding for the Small Business Administration to support the SBIR and STTR grant program to encourage the development of new medical innovations. In addition to the NIH’s role of supporting medical research, it also provides critical early-stage funding opportunities to small U.S. biotechnology companies developing innovative medicines through the Small Business Innovation Research and Small Business Technology Transfer programs. NIH’s Cures Acceleration Network also offers collaboration and funding opportunities for public-private partnerships to advance the development of high-need cures and reduce significant barriers between research and clinical trials. The National Center for Advancing Translational Sciences is doing important work to facilitate medical innovation and enable partnerships between government and industry to transform the translational science process in order to better enable industry to develop and deliver treatments and cures to patients faster. Wisconsin is home to two Centers for Translational Sciences, UW-Madison and Medical College of Wisconsin. Our state also has an outstanding support network for SBIR/STTR grants through The Center for Technology Commercialization. See our resources available to BioForward members under the Resource section of our website. Intellectual property is the lifeblood of the biotechnology industry. Strong patents, and an efficient, predictable, and objective patent system, are critical to ensuring a steady stream of capital to biotechnology companies developing innovative medicines, alternative energy sources, insect- and drought-resistant crops, and a wide range of other innovative biotechnologies that are helping to feed, fuel, and heal our planet. The America Invents Act (AIA), signed into law in September 2011, represents the most comprehensive changes to the U.S. patent system in more than 50 years. One issue Congress continues to consider is an effort to curb abusive litigation in the U.S. patent system. Despite their well-intentioned efforts to curb abuses, proponents of patent litigation reform are pressing for sweeping ideas to remake the patent litigation system in fundamental and untested ways, based on questionable data and without sufficient consideration of the impact of those changes on the vast majority of patent owners and licensees who engage in legitimate and good faith patent licensing, partnering, and enforcement activities. While reining in abuse of the patent system is important, equally important is maintaining the ability of legitimate patent holders to defend and enforce their intellectual property rights. BioForward commends the U.S. Patent and Trademark Office (PTO) rule change that went into effect late 2018 that significantly improved the fairness of post-issuance patent challenge proceedings, such as Inter Partes Review (IPR), for patent owner. This change replaces the controversial “broadest reasonable interpretation (BRI) standard-under which a patent being challenged is more likely to be struck down-with the more narrow and reliable claim construction standard used to construe claim terms in federal courts. The action by the PTO will help ensure that patent claims are construed consistently, whether they are reviewed by the PTO, a federal court, or the International Trade Commission. In its final rule, the PTO decided to apply the rule change only prospectively to all patents filed after November 13, 2018.